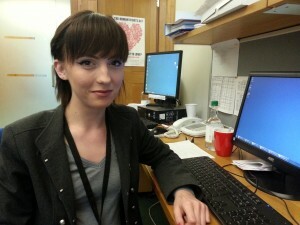 A Job Centre advert led teenager, Christine Longworth to a nine-month work placement in Parliament alongside Cambridge MP Julian Huppert. Christine, 19, had found herself job-hunting after winning a great sixth form place but deciding it was not for her. A number of jobs followed until her aunt brought home an advert for the Social Mobility Foundation from the Job Centre. The Foundation was looking for applicants for the Speaker’s Parliamentary Placements Scheme, an initiative set up by among others Lib Dem Employment Minister, Jo Swinson. The scheme encourages people from diverse backgrounds who wouldn’t normally get the opportunity to work in Parliament to apply for a nine-month paid placement. 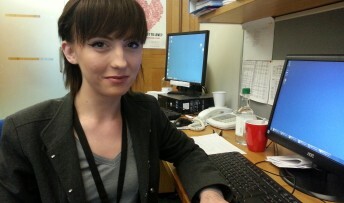 Now Christine spends four days a week working in Julian’s Westminster office and also takes part in a 10-week rotation around other offices including Parliamentary estates, the vote office and media and communications department. She earns £17,500 pro rata. “There’s a lot to take in,” said Christine, “but I’m really enjoying it. It’s great to have a job where I can use my brain and which challenges me. I’ve always been interested in politics but I never imagined I would have this opportunity. Julian said: “Christine has quickly become a valuable part of my Westminster team and I am delighted to have been able to offer her this chance. She is really great! “There are many bright young people who never get the opportunity to take up their chosen careers because, for one reason or another they don’t follow the traditional path through education.